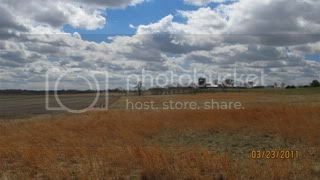 This is one of the great whitetail properties I hunt in Kansas. I have been doing some shed hunting lately and walking a couple of my favorite whitetail properties. Have you done any post season scouting where you hunt? There are a few things that can really help when post season scouting your whitetail properties. To save time and limit your hard work it helps to have maps. Some of the most helpful are aerial, topographical and plat maps. Aerials are awesome they not only show the deer hunting property you have access to but the surrounding ones as well. They show pinch points, funnels, food sources, bedding areas, and travel routes. Topo maps show elevation and help finding ridges and valleys, creeks and roads and even show where the trees are at on your whitetail properties. Topo maps can be a very useful for post season scouting. Finding numerous rubs in a isolated area near the bedding area made this post season scouting trip worth the effort. Plat maps show property lines, rivers, roads and property owners. All these maps can come in very handy and save you time. Do you use any of these maps? Which one do you depend on the most? In my opinion now is the best time to get out and figure out those big bucks. 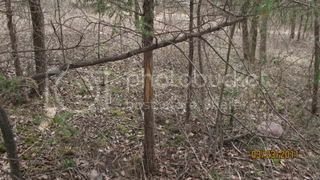 You don’t have to worry about running the buck to other hunters and with the leaves and foliage not being full you can see old rubs and trails so much better. Plus if you pressure bucks close to deer season you can make them go nocturnal. I would rather do my scouting early and not even have to bother them at all during the fall. The big boys get smart really quick and if you are walking around close to the season and bump him he knows what’s going on and will go nocturnal on you. He didn’t get big by being dumb. If he doesn’t have a clue you are even in the woods in the fall your chances of seeing him will go way up. Study your maps and locate potential hot spots and narrow down the areas you want to check out before you go. Then when you do go focus on these spots looking for old rubs, scrapes, and trials leading to and from the bedding and feeding areas. Don’t focus on the feeding area but on the trails from the feeding area to the bedding area. Locating a funnel on these trails in between the bedding and feeding areas is like hitting the lottery, especially if I find a big rub nearby. The bigger the rub the better. Small bucks don’t very often make big rubs. Also if a find an area with a lot of rubs that can be an awesome spot that can be an area where bucks like to hang out. So get out and do some early scouting you’ll be glad you did. Tagged post season scouting, whitetail properties. Bookmark the permalink.